From a humble beginning in 1964 at Crawford Lane, the late Mr Low Hong Kee started off as a scrap dealer, salvaging materials to be sold. The business thrived and eventually, he started to trade in non-ferrous metals, brass and copper. In 1980, he started to trade in stainless steel, one of our main products. The business prospered and the company was incorporated as Hong Hock Hardware Pte Ltd in 1983. The influx of business eventually outgrew the capacity of the shop. In 1985, the shop was shifted to Hamilton Road and has since established its roots as one of the largest importer, exporter and stockiest in the non-ferrous metal. In 2012, to better provide for our customers, the company consolidated the office and warehouse into one location at Gul Crescent. Specializing in Stainless Steel, Duplex, Brass, Copper and Bronze products conforming to various international standards (ASTM, ASME, AISI, BS, JIS), our sources originate from reputable major manufacturers such as Nippon Steel & Sumitomo Metal Corporation, Kobe, Nippon Yakin, Sanyo, Tubacex, Outokumpu, Viraj, Yuen Chyang Industrial, Stanch, Froch, Acerinox, Posco, LS, SeAh and Valbruna. Our products have found their uses in various industries such as shipbuilding, oil and gas, petrochemical, engineering, construction, architecture and interior design. Being in the market for 5 decades, we are known for our fair market pricing, quality products, reliability and commitment to our customers’ needs. 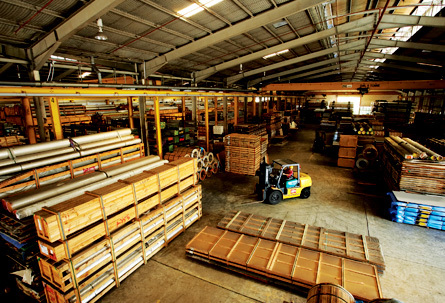 We have both sufficient stock and logistic capabilities to meet with any day to day demands. We offer value added services, immediate delivery, cut to length, consolidation plus quality assurance all under one roof.